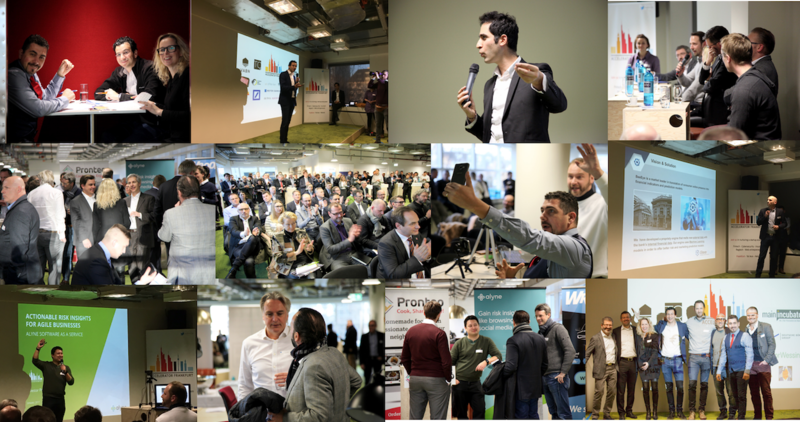 Accelerator Frankfurt’s third Demo Day a success! (Frankfurt am Main, 21.01.2018) Accelerator Frankfurt successfully completed its third wave. 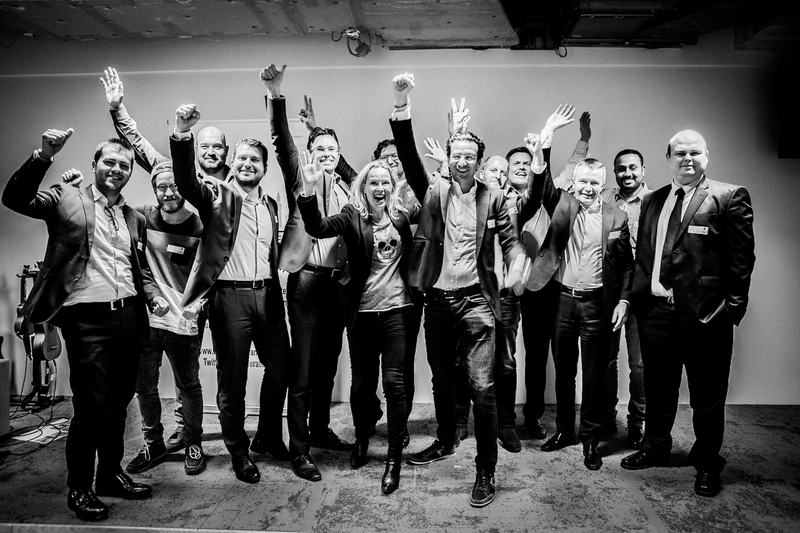 The startups Cogia (Big Data Analytics / Textmining, Germany), Cytegic (Automated Cyber Risk Officer, Israel), Enterpay (Fintech Payments, Finland), INNAAS (Fintech Digital Concierge, Italy), Robosig (FX AlgoTrading, USA) and Spobi (SportTech, Germany) with our wildcard from first wave Fenror7 pitched for a full house of 200 investors and bankers on 17th of January. The startups pitched in front of the distinguished international jury. ACCELERATOR FRANKFURT's second DEMO DAY! Come see our passionate entrepreneurs pitching together with our guests from VABN. We invite investors from Europe to participate! 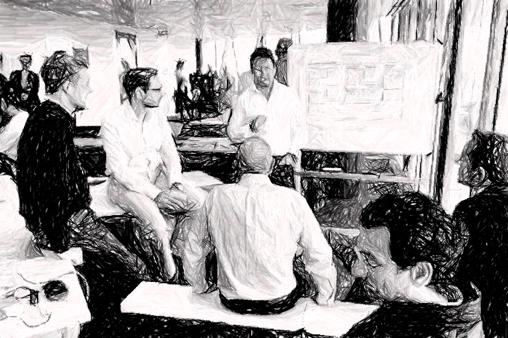 Six weeks ago Accelerator Frankfurt launched its second wave. 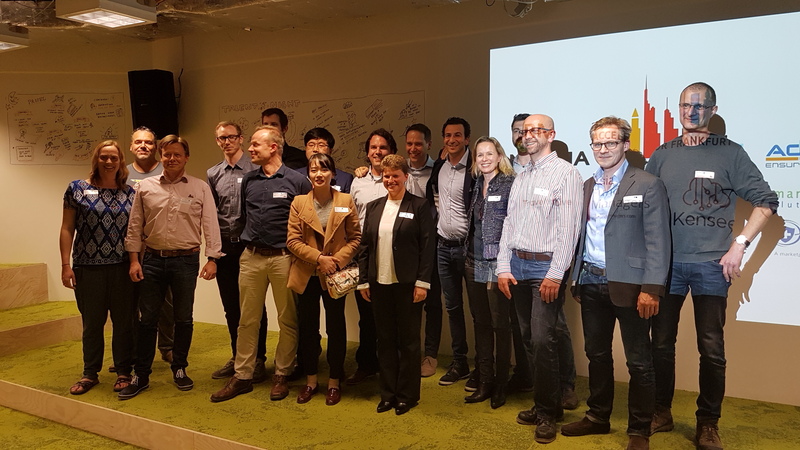 Eight diverse startups joined us: three German (AsiaFundManagers.com, Travel to Live and EcoKraft), three Israeli (Adjesty, Aero-plan and Kensee), a Korean (Norma) and a Dutch company (Smart Mile Solutions) on board. Fintech is still our focus but being in Frankfurt we have seen the demand for Proptech, Cybersecurity, Machine-learning and Smart-city solutions that serve the corporates and medium size companies. We want to bring people with passion to Frankfurt to help the banks and corporates innovate and find solutions that solve their problems. 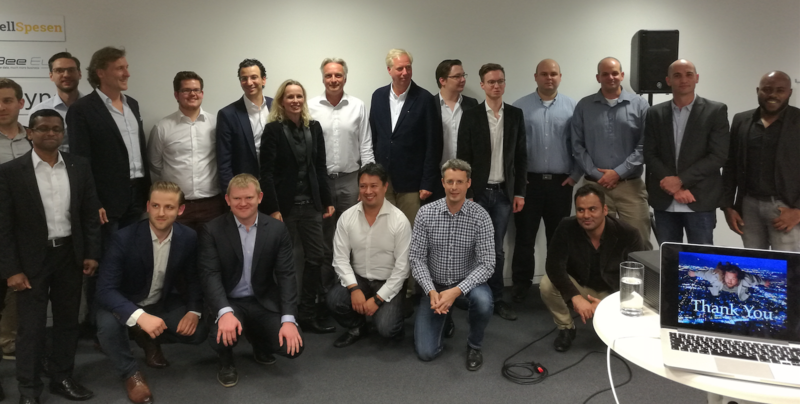 Proud to present Accelerator Frankfurt’s Second Wave! 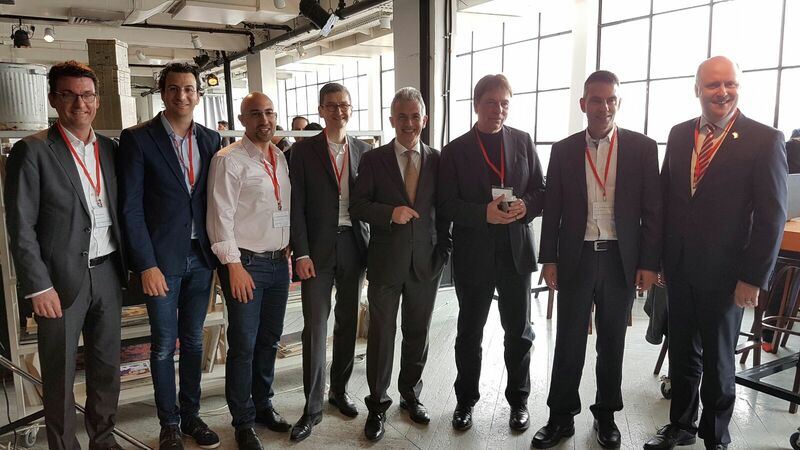 (Frankfurt am Main, 02.04.2017) Accelerator Frankfurt’s second wave of startups began their four-month program on the 27th of March. 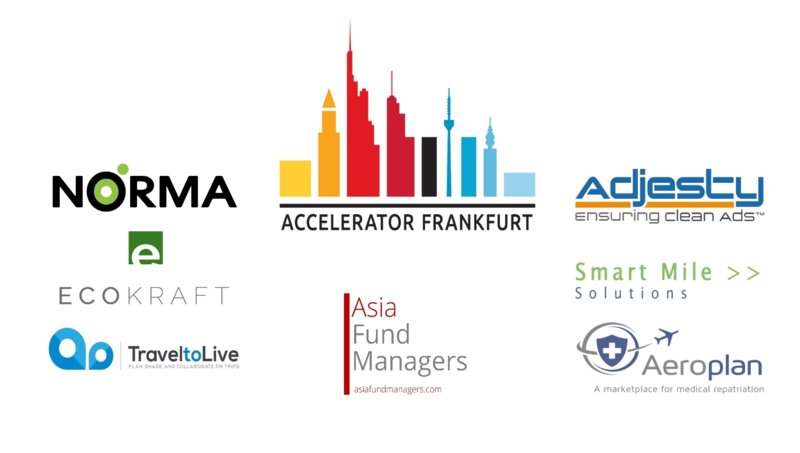 The startups where presented during our Launch Event at our premises in the TechQuartier in Frankfurt. Israeli FinTechs welcome to Frankfurt! Representing Frankfurt: Eric Menges, Ram Shoham, Sebastian Schäfer, Gerhard Kebbel, Peter Feldmann, Peter Buxmann, Jochen Biedermann and Uwe Becker. In the startup world we emphasize the importance of teams. Not without a reason; it is what makes or breaks a startup. Success depends on the ability of the team to work together under stressful conditions and still deliver results. Understanding your own and your team’s behavior and blind spots, facilitates finding a solution when a conflict occurs. Diversity is key for good teamwork and the fuel for innovation, however to change and to work in the best possible way requires effort. It’s about a year ago when I wrote my first blog wondering why Frankfurt, the banking centre of Germany, was not the startup hub for Fintech in Germany. In a year many things have materialised that moved the development to the right direction; some of them planned and some unforeseen. The catalyst for the planned events was the call from Minister Tarek Al-Wazir from the Hessen Ministry of Economy and Energy for different parties to present their concepts of how to build the Frankfurt FinTech Centre. The unplanned booster was the unexpected decision of UK to exit the EU, Brexit. 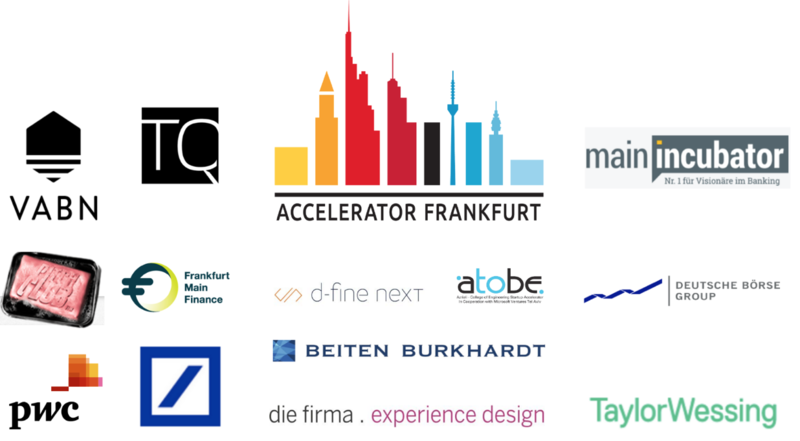 Proud to present Accelerator Frankfurt’s first wave of startups! (Frankfurt am Main, 22.09.2016) Accelerator Frankfurt’s https://acceleratorfrankfurt.com first wave of startups have started their four month program on the 19th of September. 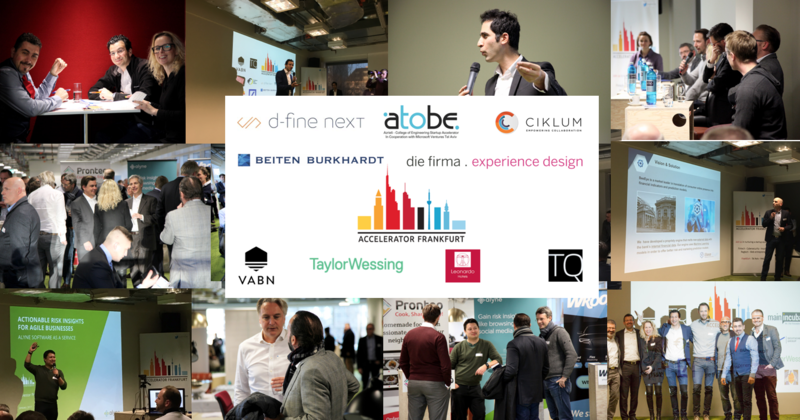 The startups where presented during our Launch Event on Tuesday evening at our office in the Westhafen Tower. 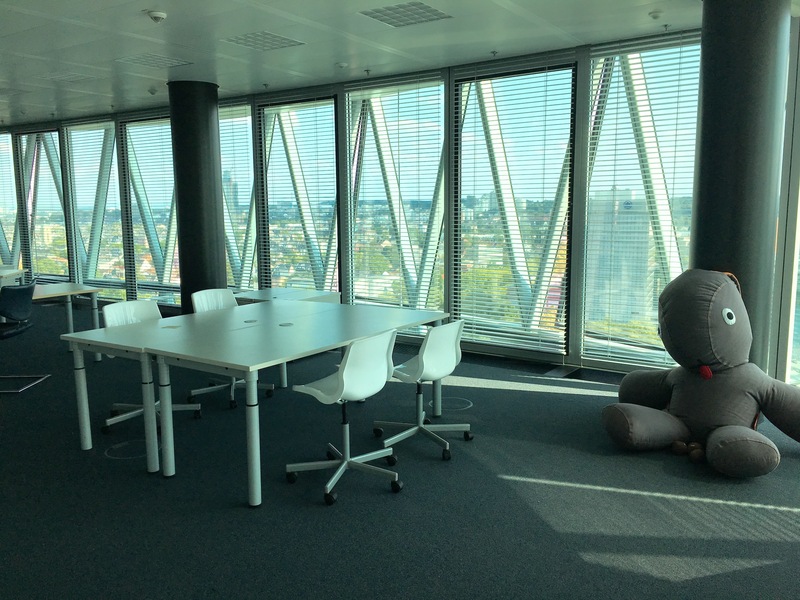 Accelerator Frankfurt’s https://acceleratorfrankfurt.com first wave of startups will start their four month program on the 19th of September. The first program will take place in an elevated setting at one of Frankfurt’s main skyscrapers Westhafen Tower. Maria Pennanen, Mitbegründerin des Accelerator Frankfurt, spricht im Interview mit altii über den Nutzen von Accelerators für Startups, Investoren und etablierte Unternehmen, die Zukunft Frankfurts als FinTech Hub und den Ansatz des Accelerator Frankfurt. 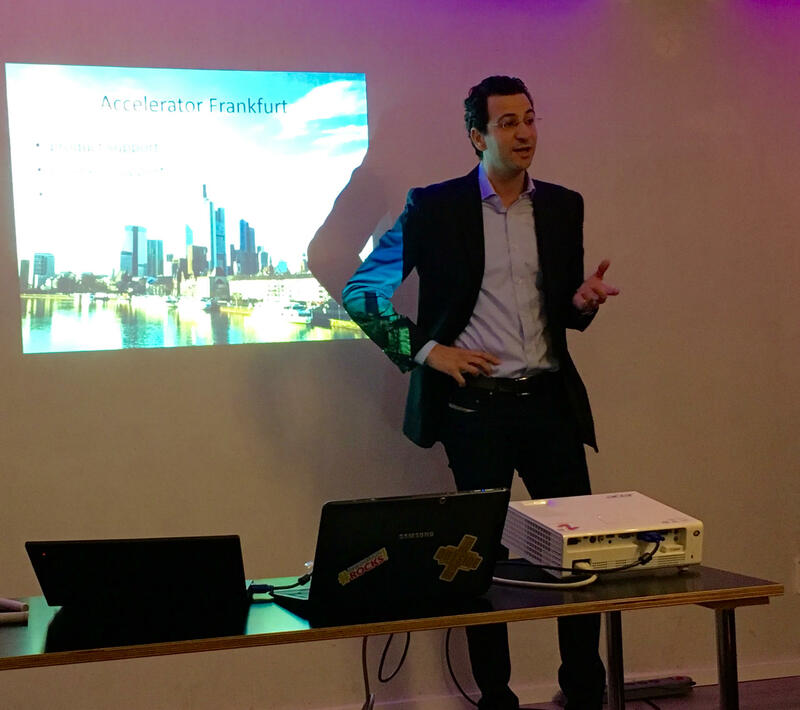 This Wednesday 20.01.2015, Fintech Meetup in Frankfurt gathered a record crowd of some 170 startup enthusiast at the co-working premises of Die Zentrale, hosted by Felix Scheffka and Yassin Hankir. Those who could not be there could enjoy it streamed online by Startupradio.de.